first you better have a good breakfast. 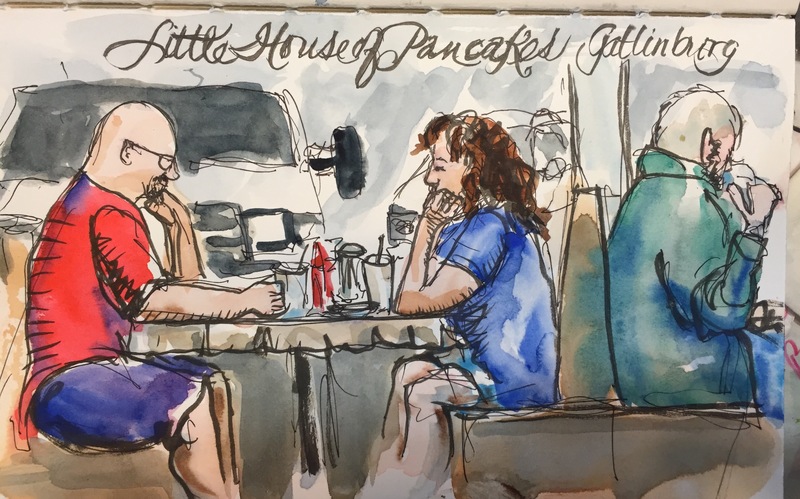 We started with some of the best eggs and bacon ever cooked in a restaurant at the Little House of Pancakes in Gatlinburg near our condos. I got there early and of course I sketched the perfect line up of happy Customers mere feet away from my table. This is drawn with my brush pen in my Stillman and Birn zeta colored with watercolors. I always love it when people sit nearby never noticing they are being drawn. These actually look like the couple eating.